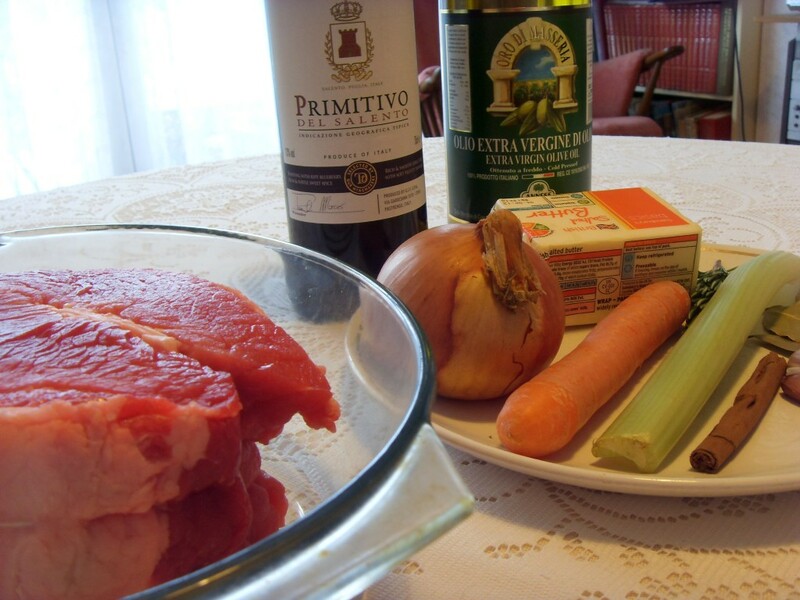 Brasato Al Barolo. From Piemonte. Barolo is the king of Italian wines. It’s also a bit pricey so I used a very nice Primitivo di Manduria instead. Don’t tell anyone 😉 This dish is often served with polenta. You will need a cooking pot that is suitable for slow cooking, Earthenware would be ideal. Add the veal, onion, carrot, celery, cloves, cinnamon, bay leaves, rosemary and garlic to the cooking pot. Pour on the wine, making sure that the meat is completely covered. Leave to marinate for at least 12 hours. 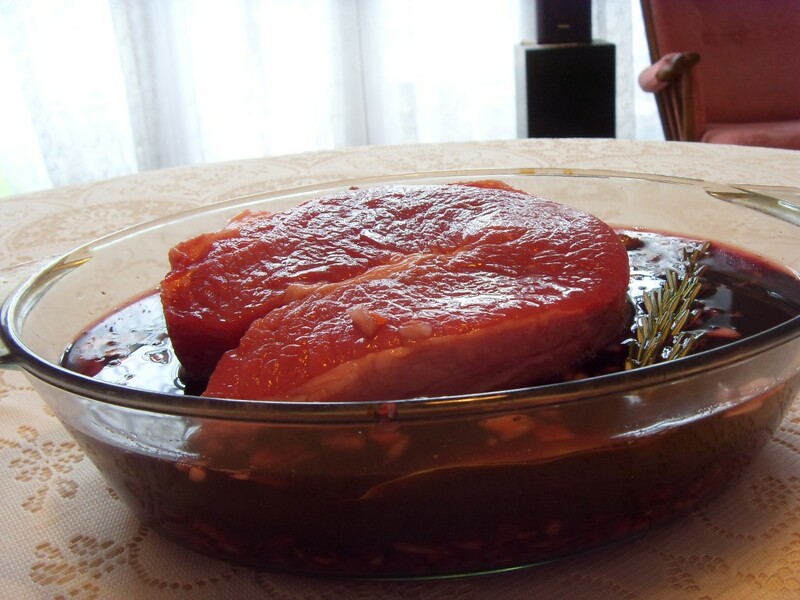 Remove the meat from the marinade (reserve) and dry thoroughly with kitchen paper. Heat the butter and olive oil in the cooking pot and fry the veal on all sides until it is well coloured and has a ‘crust’. At the end of cooking remove the rosemary, bay leaves, cinnamon and garlic. Remove the meat and allow to rest before slicing. I prefer quite thick slices, but it’s more usual to make them quite thin. If the sauce is still a bit thin, reduce over a high heat until it thickens. You can sieve or liquidize it to make a smoother sauce.